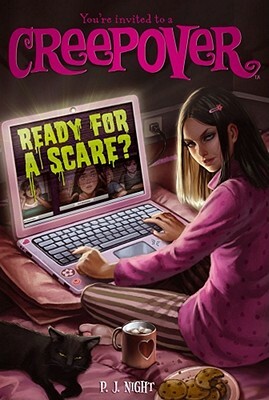 In Ready for a Scare?, Kelly Garcia is all set to have the perfect night. Her parents are stuck out of town, and although they hired a babysitter, Kelly is excited to basically be on her own for the sleepover she's having in celebration of her birthday. It's a virtual, webcam sleepover where her friends can scare each other silly by telling ghost stories and summoning the spirit of Miss Mary, a local legend. But when her friends start disappearing one by one and the babysitter is nowhere to be found, Kelly starts getting scared...for real. Could Miss Mary's ghost be kidnapping everyone? Will Kelly be next? Ready for a Scare? will be a level 5 on the Creep-o-Meter.